Our growing up was rich with music. The mandolin, accordion, trumpet and piano were as much a staple in our home as were flour, Parmigiano, and tomato sauce. One grouping fed our hearts, and the other fed our stomachs. If our Sicilian mother, Giuseppina, wasn't singing in the kitchen, then our Neopolitan father Filippo was either teaching trumpet to the boys or playing instruments himself. It was no small wonder then, that my younger sister, Isabella, took to the old piano like a fish in water, and made teaching and performing her life's work. Did I say work? No, I meant her life's love! We really weren't exposed to Opera, save for arias contemporized by singers like Mario Lanza, Sergio Franchi and Tito Schipa, because my Dad would say "Madama Butterfly make me too sad" and my Mom would say that the arias would "go into your brain." When the opportunity to accompany singers at a local cafe some twelve years ago presented itself, Isabella began an adventure that would take us to wonderful places and I hung on for the ride. 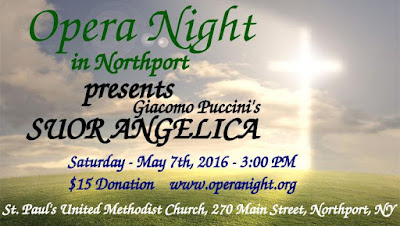 The series "Opera Night" was born. Over the years, the caliber of singers has been stellar, the venue host always gracious and accommodating, and a future full of the prospects of bringing great music to our devoted patrons ensued. Many accomplished musicians have graced our stages as have interesting characters. The world of art and music, which Opera Night often pairs together, can be most colorful. Singers have gone on with our blessings to further their careers, and we joyfully are thrilled when they return to perform. 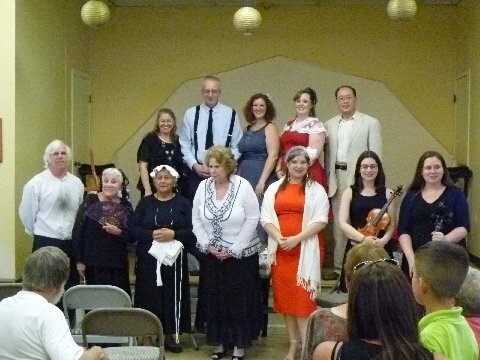 Our family has grown to include interns, artistic directors, designers, chamber musicians, and a lovely growing audience. 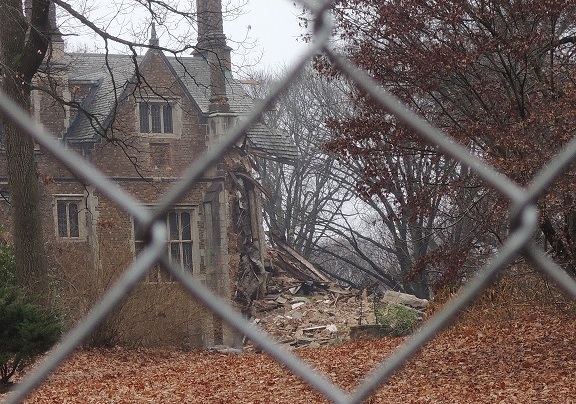 We thank our donors of the past, and we ask future patrons to help our series move forward. What would our parents have thought if they were still singing and cooking in the kitchen and playing instruments in the living room? I can almost hear them now. 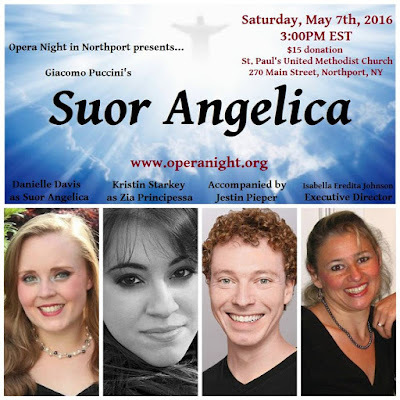 At the helm of Opera Night's production of "Suor Angelica," was soprano with a flair, Danielle Davis. Her artistry of vocal and administrative acumen was only surpassed by her ability to orchestrate an extraordinary event such as this Puccini's masterpiece. 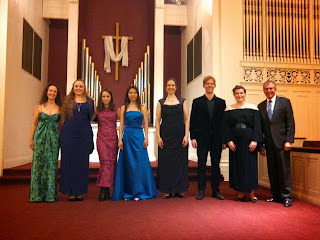 The eight chosen singers, in full concert attire were assembled and rehearsed by Danielle, Jessica Stolte Bender, and pianist Isabella, to near perfection. The somber tale of a woman banished away to a convent because of disgracing her noble family, was underlined and driven forward by the wonderful pianist, Jesse Pieper, and performed by singers, Danielle Davis, Kristin Starkey, Jessica Stolte Bender, Theresa Dunigan, Sonya Rice, Lorraine Helvick, Kate Wood and Emillee Carratala. 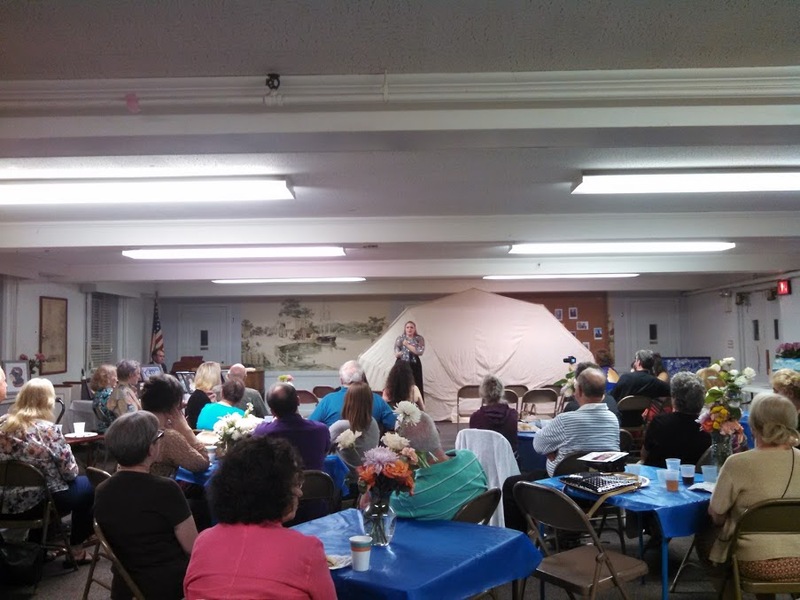 A tear was not spared by our patrons, nor were the compliments during the reception. But then again, the elements were all there. The genius of Puccini, the beautiful voices, the storyline of love, loss, scandal, betrayal, and unbounded human cruelty. For this is the essence of opera, and when our opera devotees come and become a part of Opera Night's event such as Suor Angelica, an emergence of creativity on all levels arise, and we are indeed awed and made better for it. It is a held notion that although Puccini was not political, his operas were a way of sending a message to a larger audience. In a review of "Il Trittico" from a 1920 New York Times paper, a critic speaks of women who were weeping in the aisles. When Danielle Davis sings "Senza Mama," I too get weepy. Oh those Italians! How impressive to us that eight women in limited space, one opera, one pianist, could fill the room with so much joy as it did. 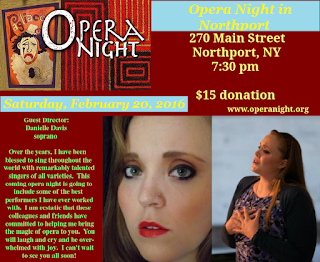 Special mention to contralto, Kristin Starkey in her gripping role of "La Principessa." Puccini understood the range of the singing voice, and how the musical score can enliven all emotions in us, good and evil, and translate this to the audience. The production was a hit, and there is now talk of a repeat performance possibly in a new venue. At the risk of blabbing a secret, I hear word around that a "Tosca" presentation is in the works. You didn't hear that from me. "An Afternoon with Robert Nunn's Setauket piano"
Charlotte Koons plays the role of Clara Schumann, Bruce Teifer as Robert Nunns. “I once believed that I possessed creative talent, but I have given up this idea; a woman must not desire to compose - there has never yet been one able to do it. Should I expect to be the one?”- Clara Schumann, in her diary on 26 November 1839. Robert Nunns speaks about the piano. 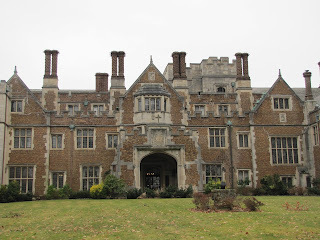 Many fine houses and every genteel family owned a piano, a sign of culture and refinement. 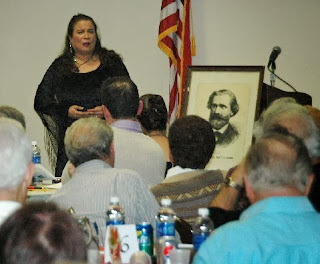 Robert Nunns speaks about the Civil War, and bankruptcy. The Music of popular composers such as Stephen Foster soothed peoples hardships: “Hard times come again no more” was published in New York by Firth, Pond & Co. in 1854 as Foster’s Melodies No. 28. Well-known and popular in its day, both in America and Europe, the song asks the fortunate to consider the plight of the less fortunate and ends with one of Foster’s favorite images: “a pale drooping maiden”. Foster’s own life ended in abject penury, which adds to the poignancy of the lyrics. 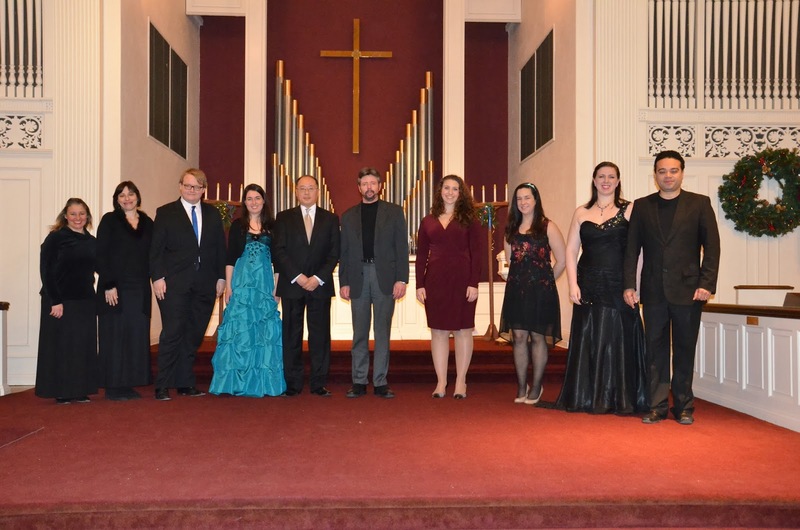 Singers accompanied by Isabella Eredita Johnson, playing a Steinway grand provided by Michael Costa. The "Nunns and Clark" piano factory is a great interest for the "Three Village Historical Society," and they have asked us to put together a musical afternoon/fundraiser benefiting the Historical Society on June 14th. We are organizing a piano recital program, with other instrumentalists. Some features will include movements from the Clara Schumann Piano trio in g minor (movements one and three), Stephen Foster's "Beautiful Dreamer," a song by Amy Beach, Schubert's "Gretchen am Spinnrade" and more. In this concert, two pianos will be provided. We will play on a piano provided by Michael Costa's Piano Shoppe, along with a short sample performance on the restored Nunn piano. All proceeds will go to the Historical Society. to view more photos... click here. photo above: Roz's 92nd birthday with friends. Opera Night's most enthusiastic member. We thank Roz for her joy and love of music which she shared with so many of us. .
"Album leaf" by Saint Saens performed by Isabella and James set the stage for what evolved into a wonderful evening of music appreciation. This masterful piano duet highlighted the skillful interplay of two artistes and the written notes on the sheet. For these gifted pianists to interpret great music and then share these works of genius.. well what can I say but its a beautiful thing! (especially for those of us whose lives are enriched through music). Bravo tutti due! 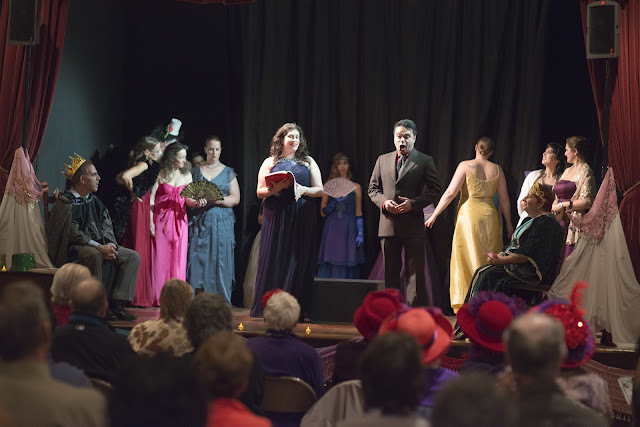 Bass-Baritone, Gary commands the stage when he sang "La calunnia" from Rossini's Barber of Seville. Later on we were treated to a Broadway classic, "Luck be a lady tonight," from Guys and Dolls. Gary demonstrates that opera singers are a versatile bunch, and lightening up the drama and depth of opera is a refreshing departure every now and then. Soprano, Danielle takes us to Rome when she performs "Vissi d'arte" from Tosca, a heart wrenching plea to God to release her from her tragic circumstance. We all share in her sorrow as she sings in a most engaging fashion,"Dio, why have done me this way." 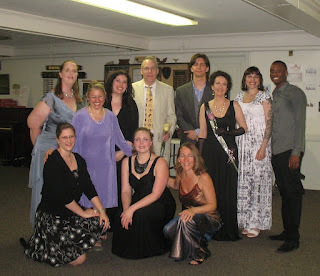 Tenor, Arthur performed for us "Ecco ridente" from Barber of Seville. Arthur's love of opera is not lost on us. We feel his portrayal of Count Almaviva in this aria is of one whose heart is in his hands and his vulnerability gets him caught in life's fickle paths. This is the charge to the singers, to take what the great composers write about send it out there for us to make of it as we will. Art imitates life, and the opera composers know this all too well. "Ecco ridente" is an example of the bel canto style. The words melodic and poetic as one stanza reads,"O moments of love ! Oh sweet contentedness! Precious moment it has no equal!" Thank-you, Arthur. The vastness of the opera world is ours for the asking and soprano, Theresa's repertoire is impressive. Singing "Quando m'en vo," she vamps it up, sits with our patrons at the cafe and lets us know in no uncertain terms that "men find her most desireable." Cheryl is a soprano with a flair for center stage and she easily enveloped us in sweet refrain when she sang "Vilia" by Lehar. James presented Lizst's "Tristan and Isolda" transcription. Our listeners were enrapt. This is no ordinary work in the piano literature. In spite of its difficulty and demands, James managed to caress each note that needed caressing and dominated the notes that called for his control and passion. He leaves us wanting more, and yet we remained fully sated and happy. But then we expect nothing less of a pianist who is complex, driven, sweet and intense. As a bit of trivia,it took Vladimir Horowitz three days to record this piece to his satisfaction and then four days later he died in Nov.1989. "Vaghissima sembianza" by S. Donaudy. "Ah si, ben mio" from Verdi's "ll Trovatore"
Duet with Lorraine: "Ai nostri monti" from "Il Trovatore" with me? What has become of our Opera House? make a great night of it! 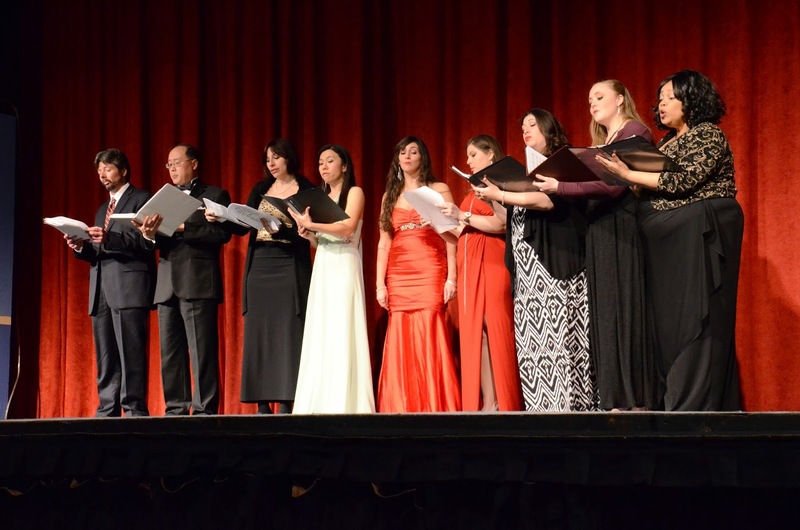 This large body of professional operatic singers plus their piano accompanist will present an entertaining assortment of vocal excerpts from famous and beloved operas. 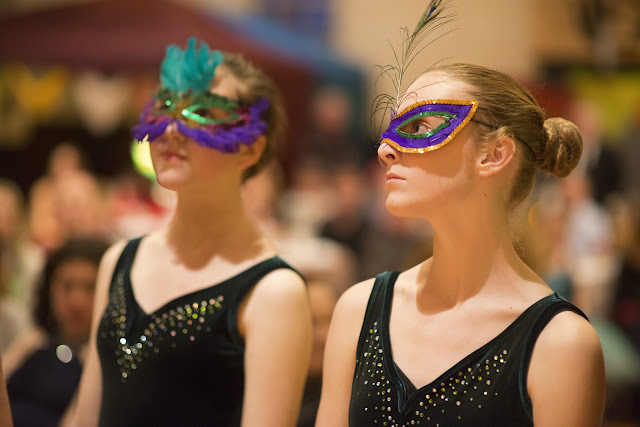 Click here for more photos-- enjoy the many photos taken by Mike Krasowitz and Bruce Johnson. 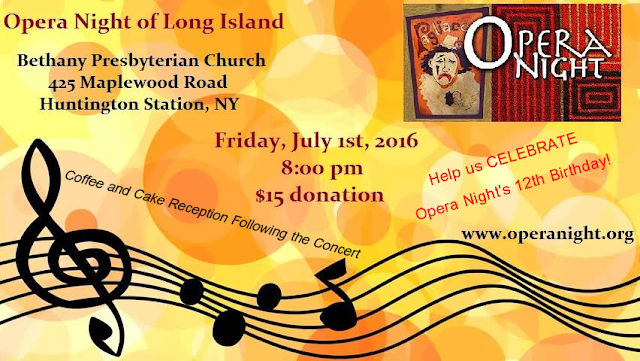 Opera Night Long Island is a not-for-profit community-based arts organization. 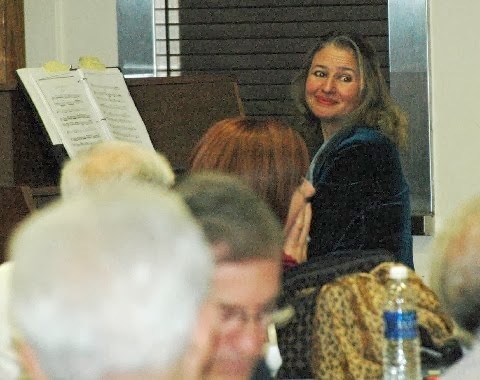 It started seven years ago when Isabella Eredita Johnson took command of a honky-tonk piano at Caffe Portafino on Main Street in Northport and invited a handful of residents each month to enjoy an evening of classical music. 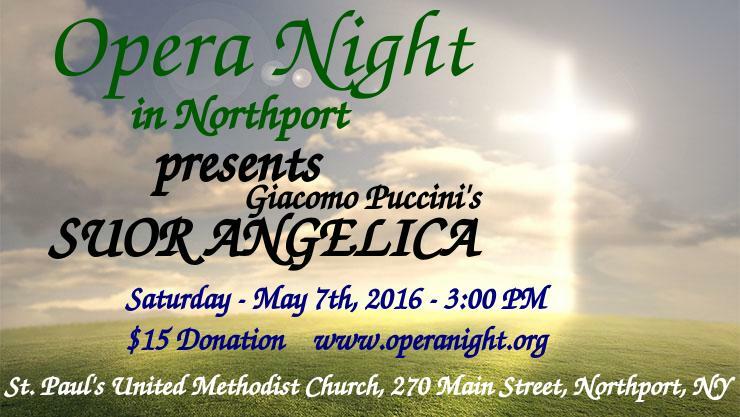 Since then, Opera Night’s audiences have grown substantially. Our performances now take place at St. Paul’s Church and other venues on Long Island. 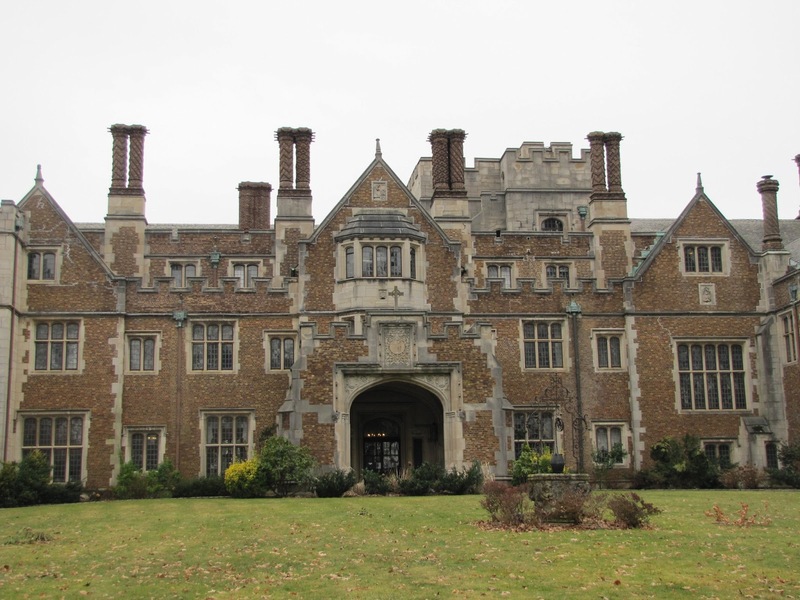 Audiences typically number between 100 and 200 people. Nowadays, attending an opera or a classical music concert in New York City can cost a family hundreds of dollars. 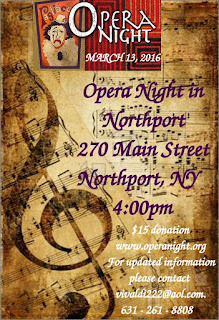 At Opera Night Long Island, we provide quality performances for a fraction of that amount at easily accessible local venues. 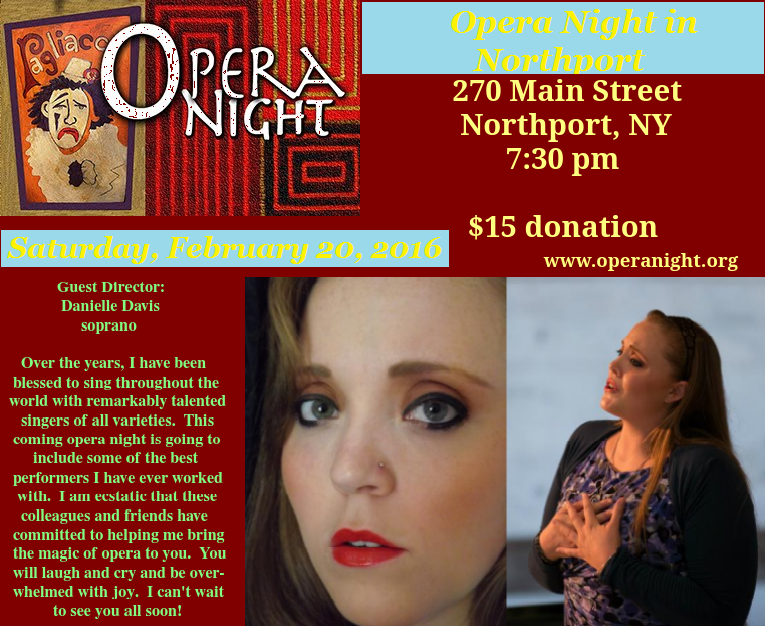 Although our concerts focus primarily on opera arias, our professional artists also perform art songs, Neapolitan classics, show tunes, and piano pieces. 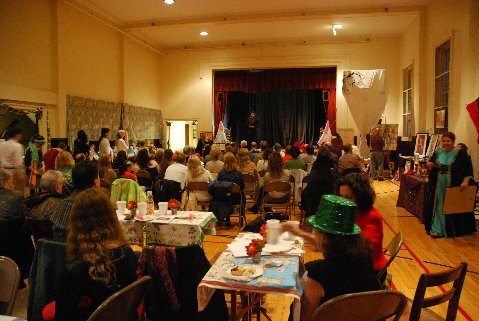 Enthusiastic audiences enjoy listening to a variety of musical masterpieces.